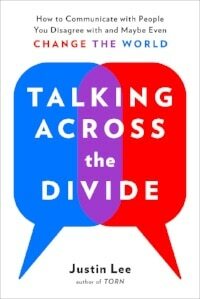 My newest book is called Talking Across the Divide and it’s out now from Penguin Random House. It’s about breaking through our cultural echo chambers to have real, productive conversations with the people you most disagree with. Click here to learn more and find out where you can get it. My first book was a surprise hit, even to me. 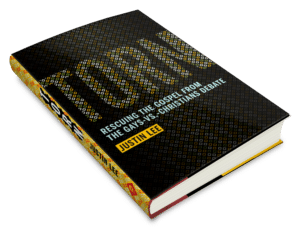 Over my years of LGBT Christian ministry, a lot of LGBT folks had asked me for a book to help their conservative Christian friends and family understand them better. I didn’t have any great recommendations that I thought would fit the bill, so, a few years ago, I decided to write one myself. I had no idea if anyone would even publish it. I certainly didn’t expect it to become so popular, or that people around the world would tell me it had changed their mind, or that people would start ordering it by the case to give out to friends and family. I am eternally grateful to everyone who helped make Torn a success. You’ve completely changed my life. You can learn more about Torn (and some fun bonus facts!) by clicking here.